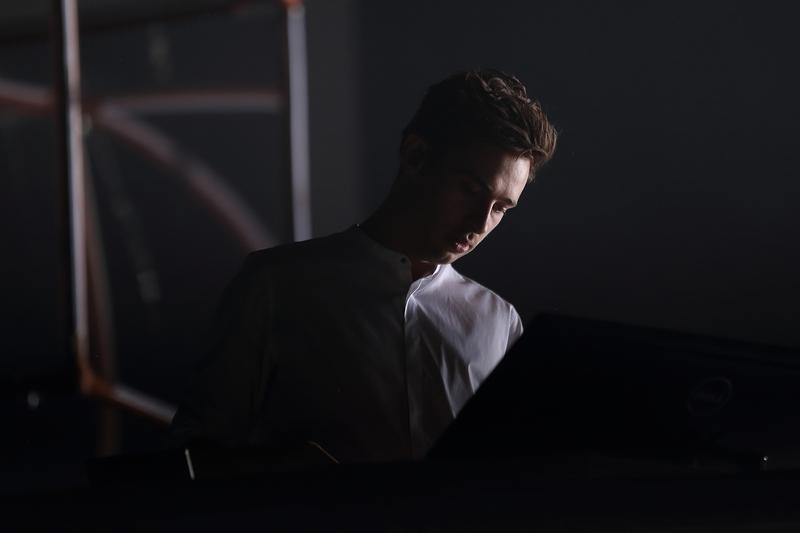 Among the many electronic musicians to break through into the mainstream over the past year, there aren’t many who have crafted their rise in fame as carefully as Harley Edward Straiten, better known as Flume. 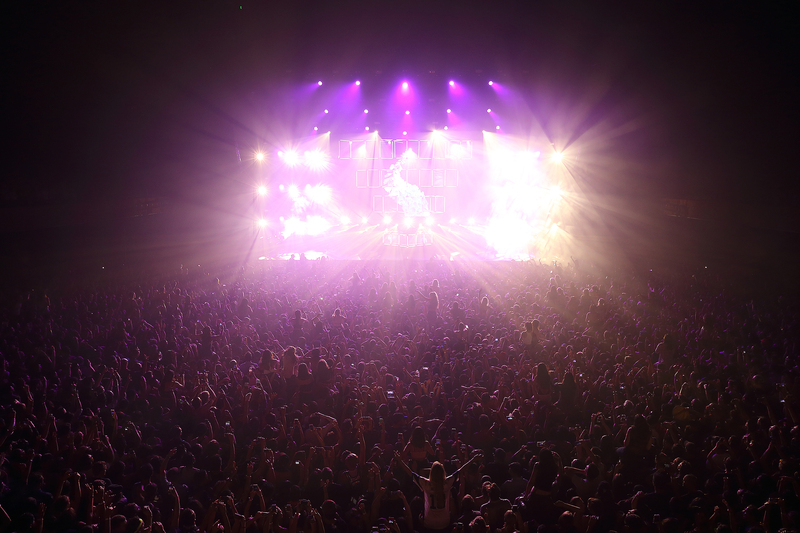 After releasing his critically acclaimed, self-titled debut album in 2012, the Australian producer quickly gained popularity thanks to his instant-earworm hits like “Sleepless” and “Insane”. 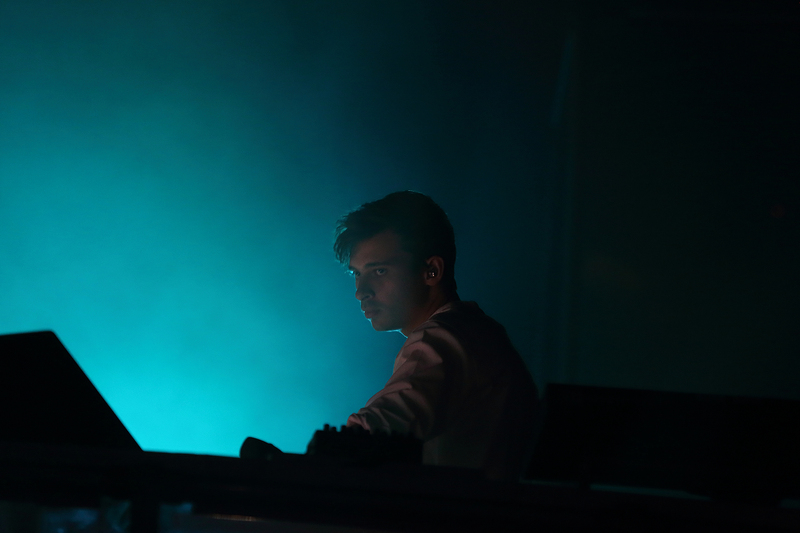 Leading up to his most recent LP Skin that he dropped in May, Flume began to enter the EDM mainstream after releasing several blistering remixes of artists like Disclosure and Hermitude. Since the release of Skin, Flume has spent much of this year headlining festivals and selling out some of the largest indoor venues around the world, including SF’s very own Bill Graham Auditorium. 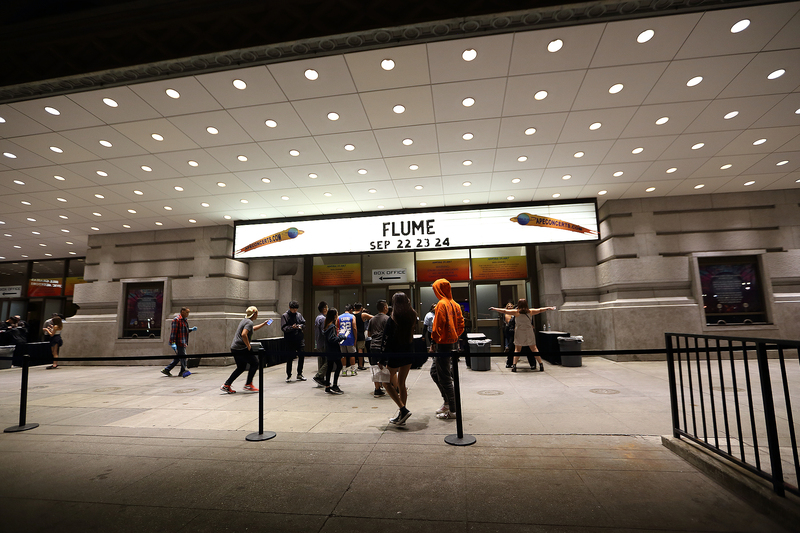 On a Friday night, I joined 5,000 of Flume’s fans for the second of his three-night run in the City. 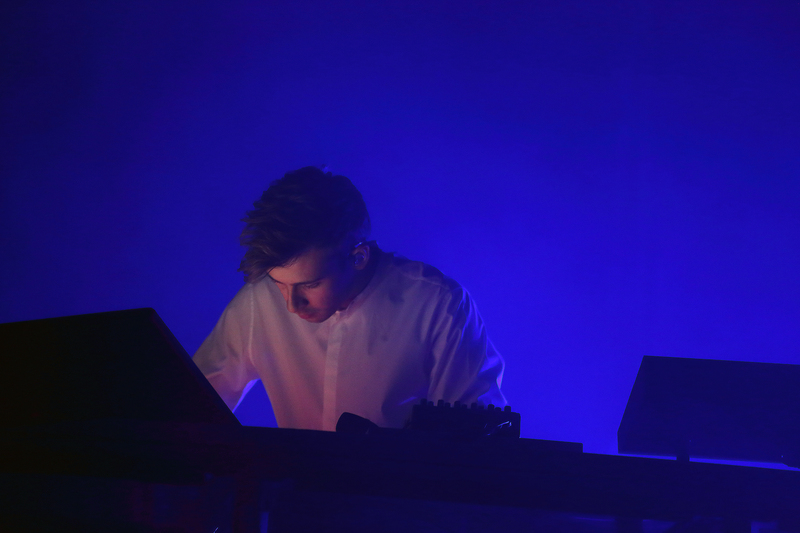 Flume, or whoever manages his bookings, deserves some praise for the openers he brought out for this tour. 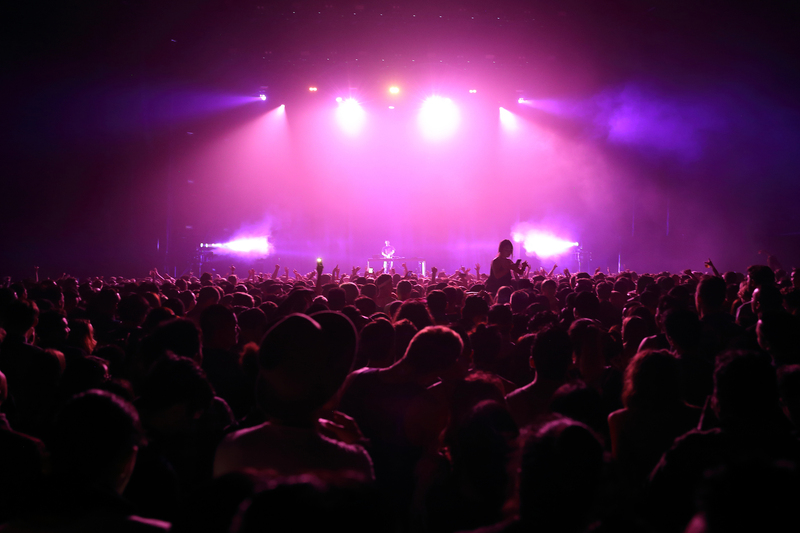 Thursday and Friday featured Shlohmo, the goth-cousin (sonically speaking) of Flume, and on Saturday night, concertgoers were lucky enough to see Vince Staples, one of the hottest new rappers around, warm up the crowd. 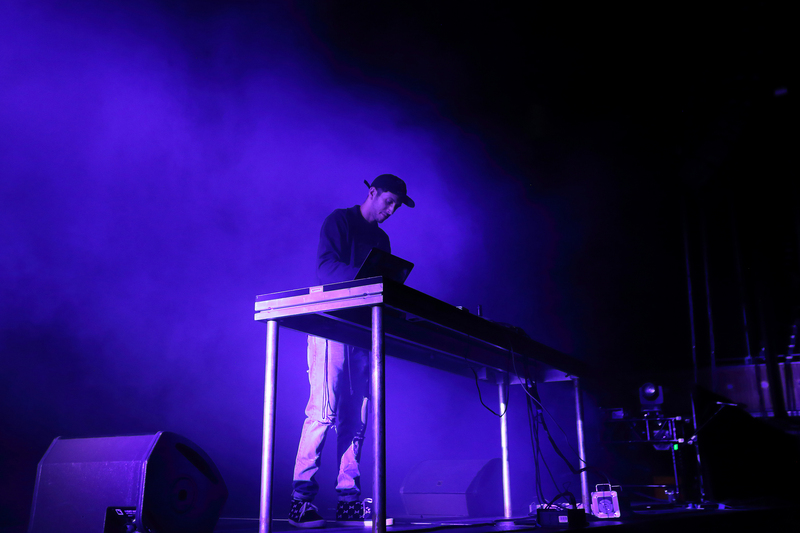 Though I was particularly excited to see Shlohmo (born Henry Laufer), a musician and producer/DJ worthy of his own separate review (see our photos from his live show in Los Angeles last year), the crowd did not feel similarly. 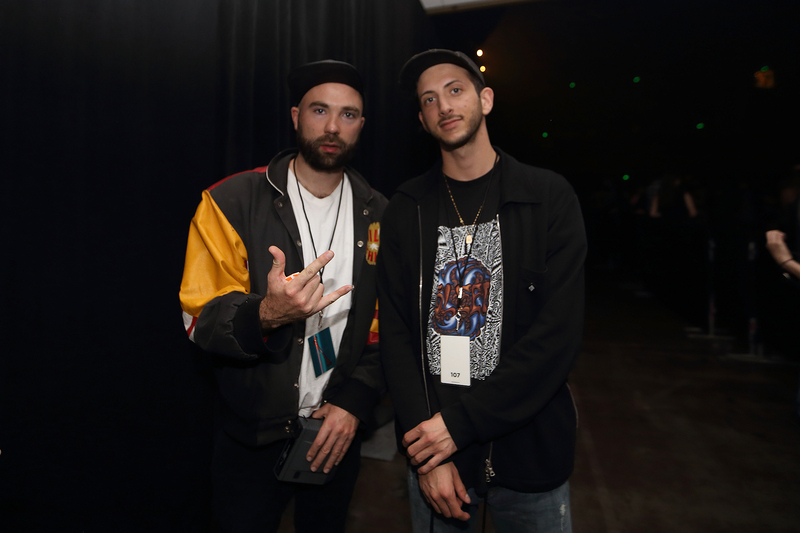 As Laufer, the LA native who is a founding member and the defacto leader of the electronic music record label/collective WeDidIt with fellow producers RL Grime and Ryan Hemsworth, seamlessly ran through a mix of distorted, chopped-up hip-hop and trap beats, it seemed near impossible that the audience would give him any attention, with many using the flashlight on their iPhones as markers to help their friends find them. 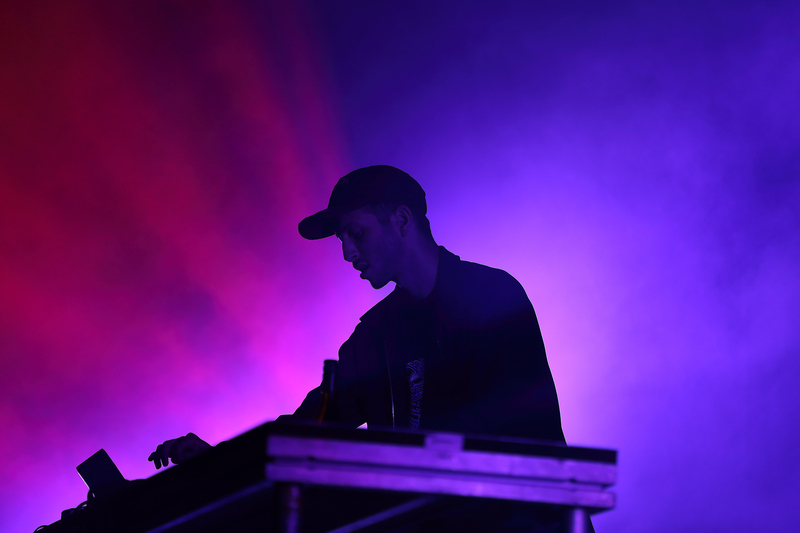 Simply put: Shlohmo is an underrated DJ. Watching him run from one track to another, I was continually surprised by the directions he chose to go. 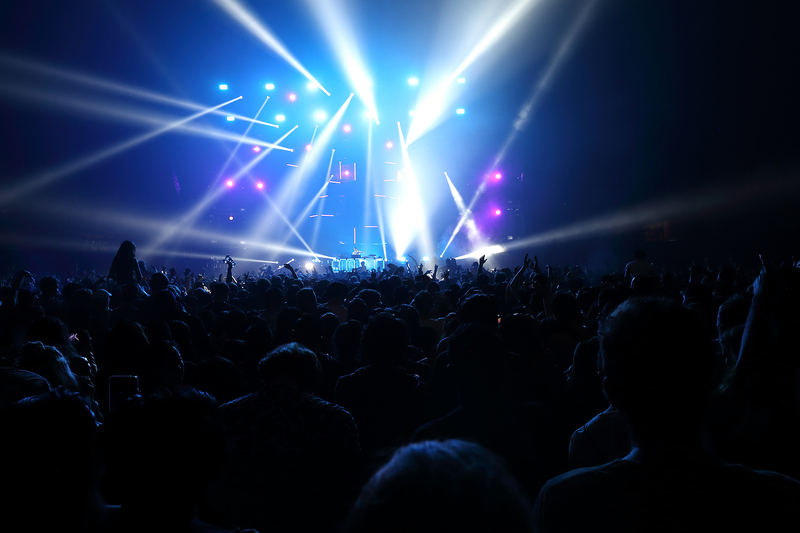 Tracks like “Apathy”, a part-shoegaze, part-trap wall of noise, become a completely different experience on a massive sound system compared to my causal listening on a pair of cheap headphones. 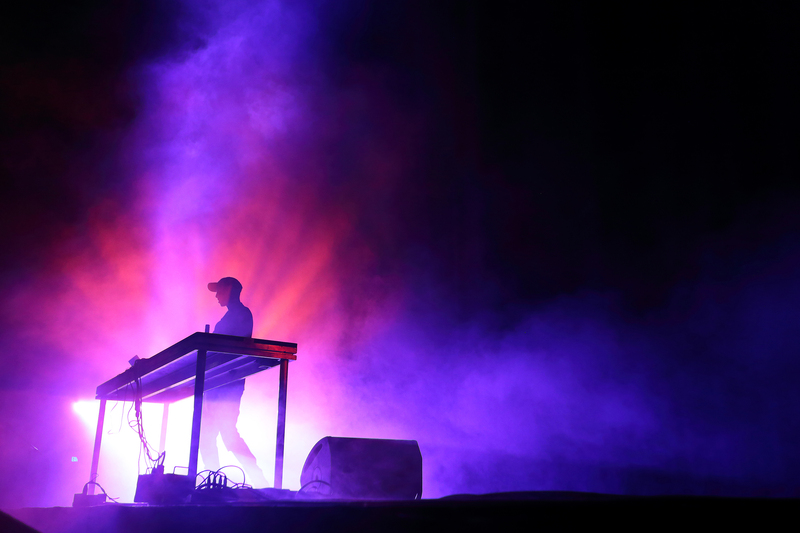 Though most of the crowd hardly noticed his set, I thought Shlohmo was an excellent opener. 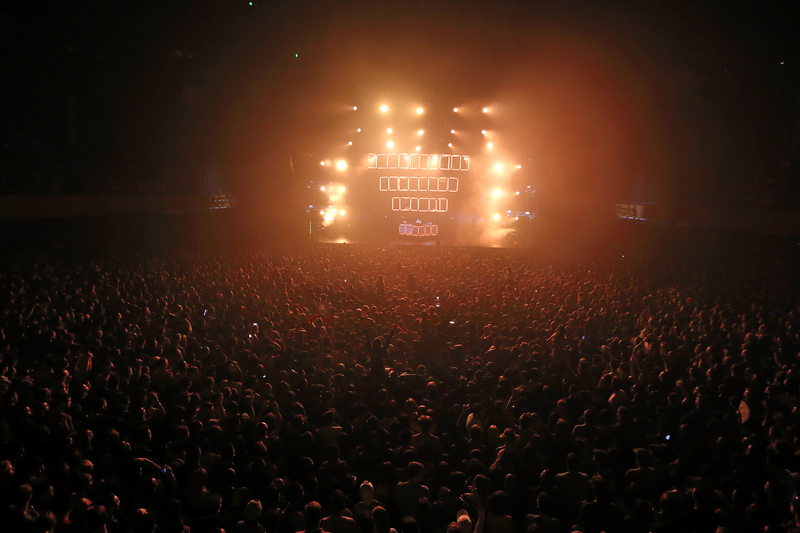 Great work, Henry. 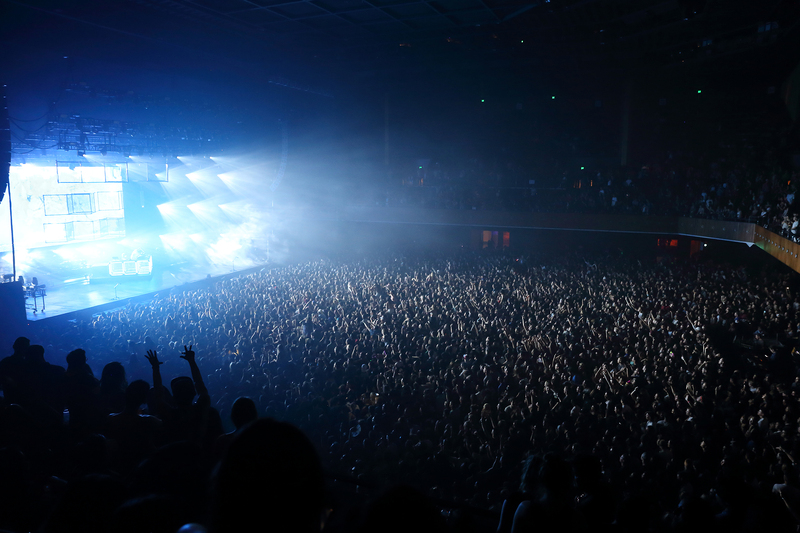 The auditorium quickly filled in leading up to Flume’s performance. 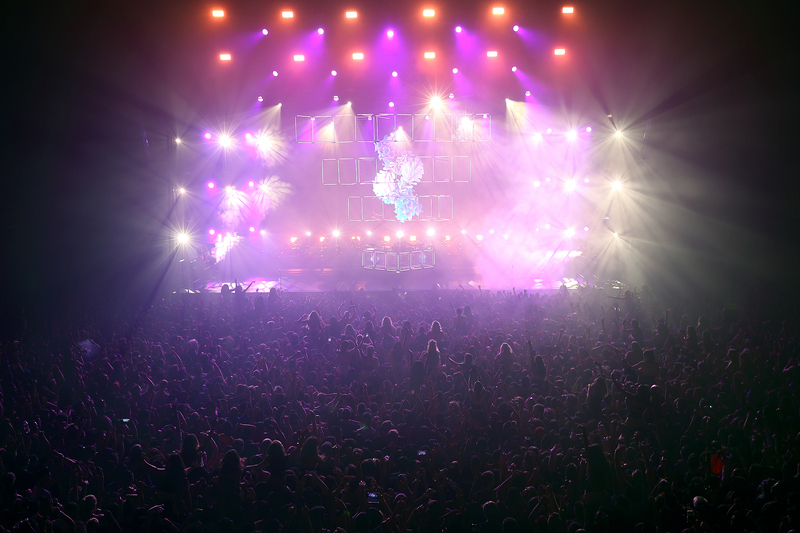 As the bros, ravers and scantily clad women packed into the floor area, I chose to take a seat on the upper concourse. 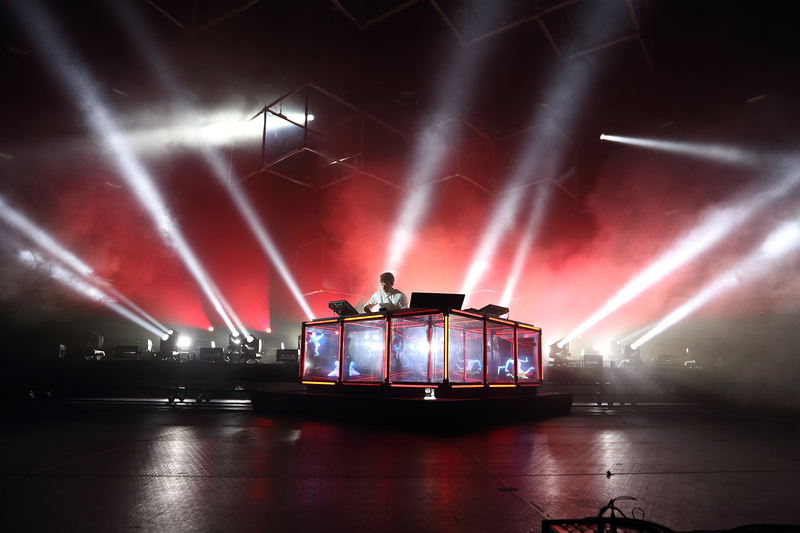 The house lights dimmed, and Flume slyly emerged onstage to a roaring applause, backed by a visual setup consisting of neon cubes and a massive LED screen, which seems obligatory for any up-and-coming electronic music producer these days. 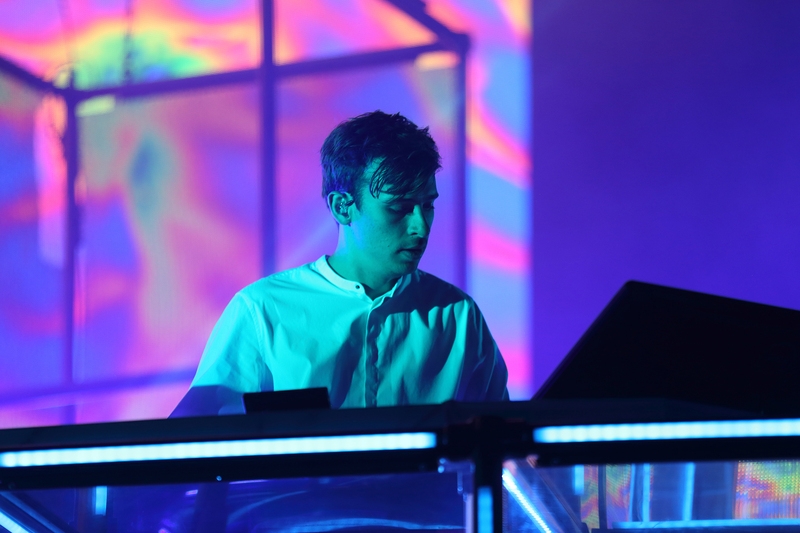 Jumping quickly into his older material, Flume instantly set the crowd off playing “Holding On”, “Sleepless” and “On Top” one after another. 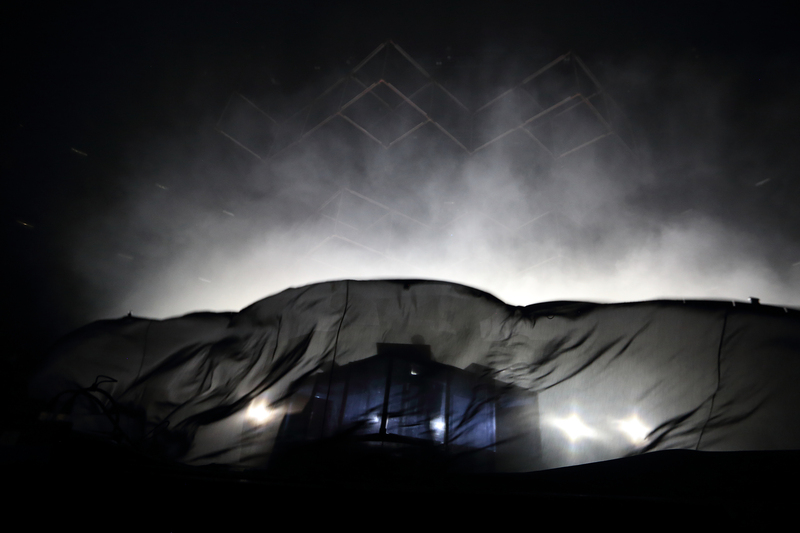 Though Flume is touring in support of his sophomore effort Skin, it was a smart choice to kick off the show with some older tracks. 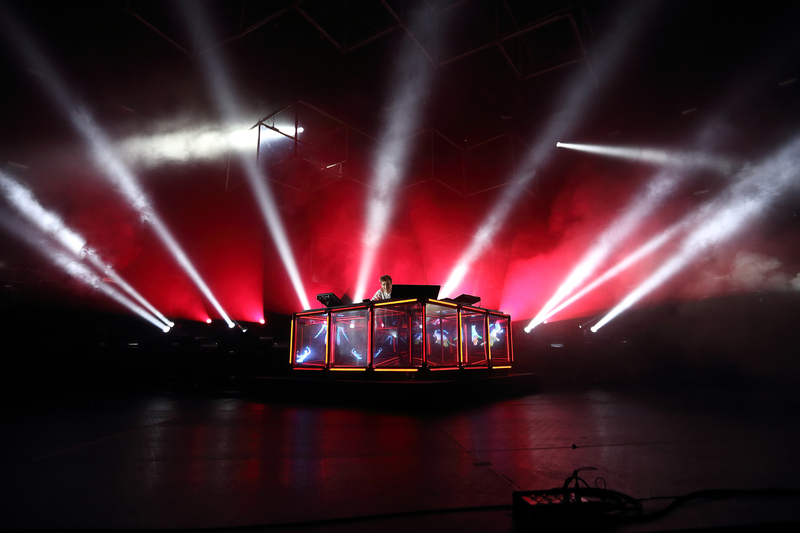 The contrast in how robust Flume’s production skills are from his self-titled debut to his more recent studio effort were entirely apparent, especially leading into his booming remix of Disclosure’s hit “Magnets” featuring Lorde. 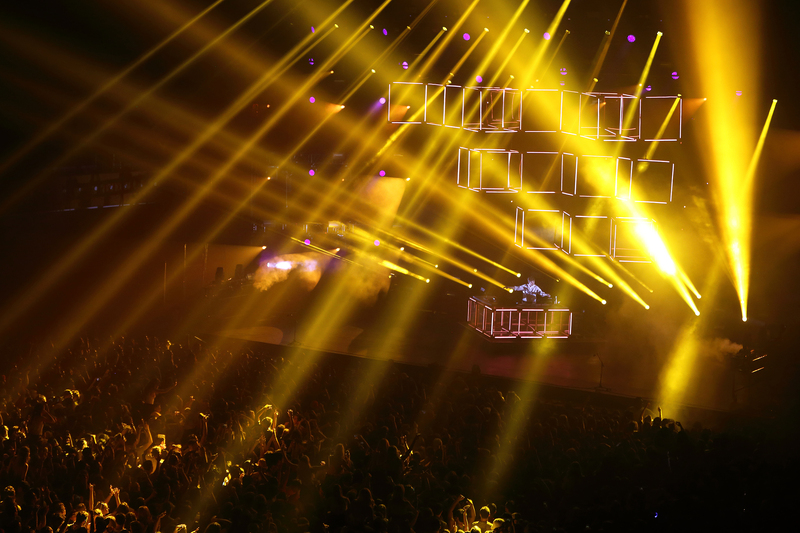 Perhaps the most impressive part of Flume’s live production is the choreographed lighting to accompany his music. 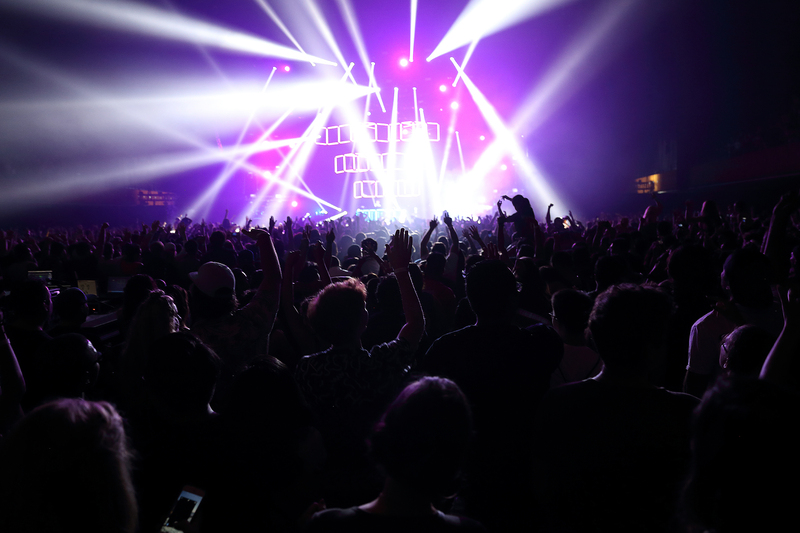 On tracks like “Smoke and Retribution” (a personal favorite), a wall of strobe lights would flash with every stomping bass kick, blinding the crowd only momentarily before bringing them back to the kaleidoscope color scheme and accompanying visuals. 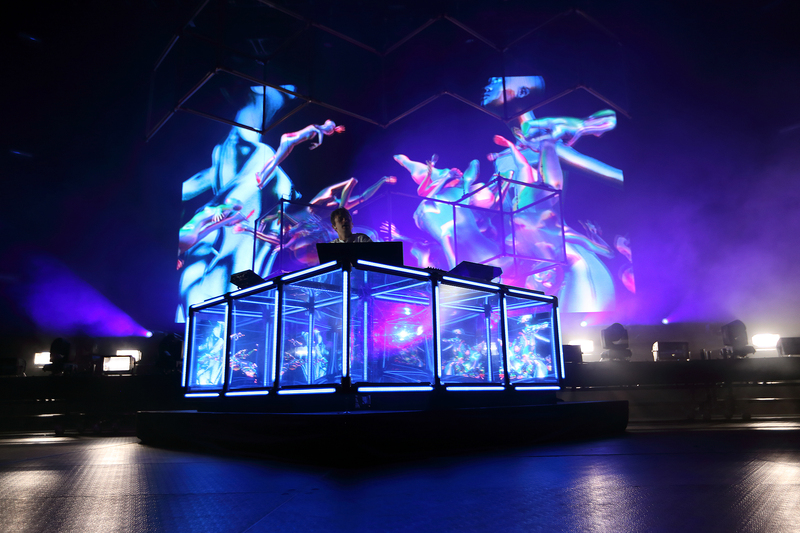 It’s great that Flume has honed in the visual art direction of his album artwork and incorporated it into his performance — something about those surrealist floral designs just seemed to fit so perfectly with what Flume is all about. 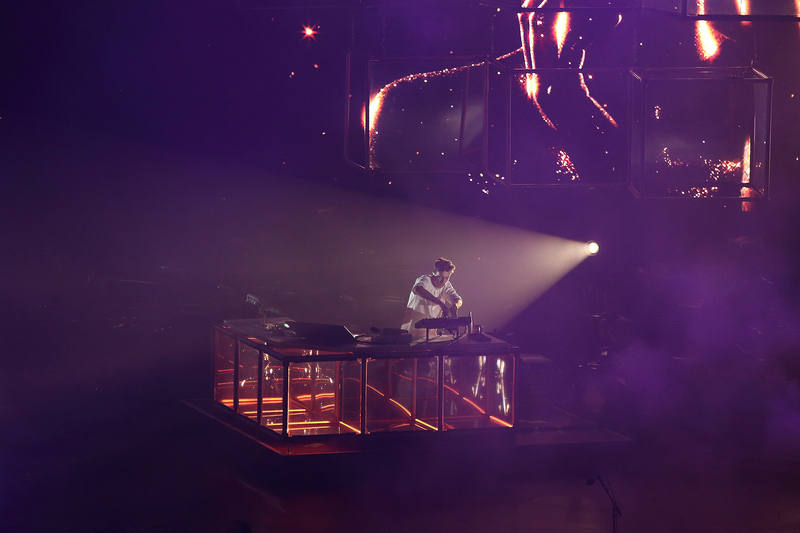 Moving into fan favorites like “Say It” and perhaps his best track, a remix of the Disclosure track “You and Me”, the show ended as quickly as it started, but perhaps that’s because the setlist was perfectly woven together. 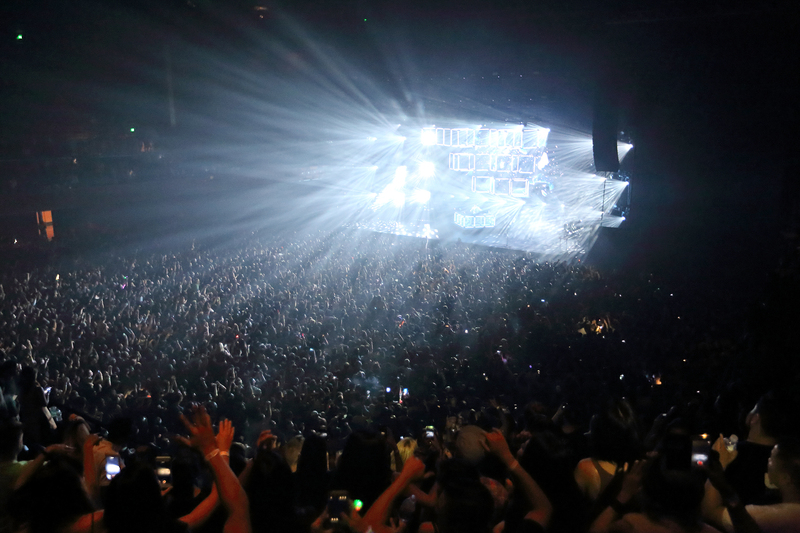 Moving the energy levels up and down combining that with his charming Aussie voice from time to time, it’s clear that Flume knows how to work a crowd. 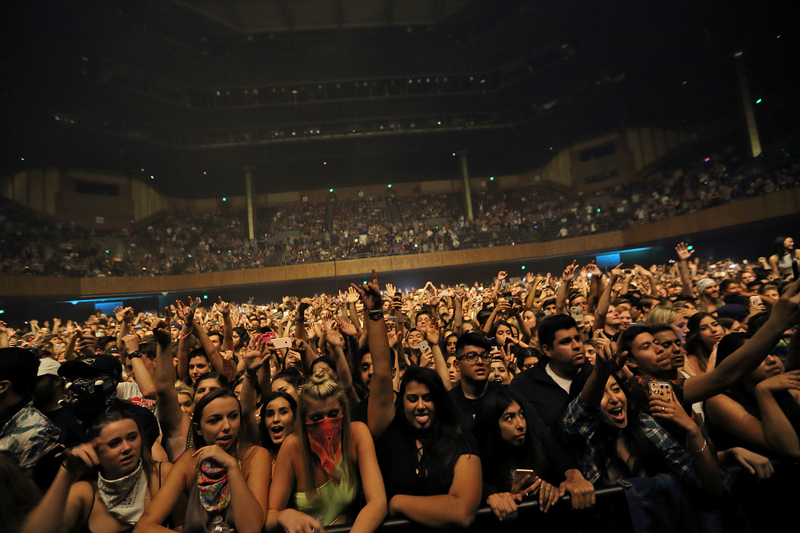 As the crowd cheered and hollered for an encore, he reemerged to play one more song, his collaboration with Beck entitled “Tiny Cities”. 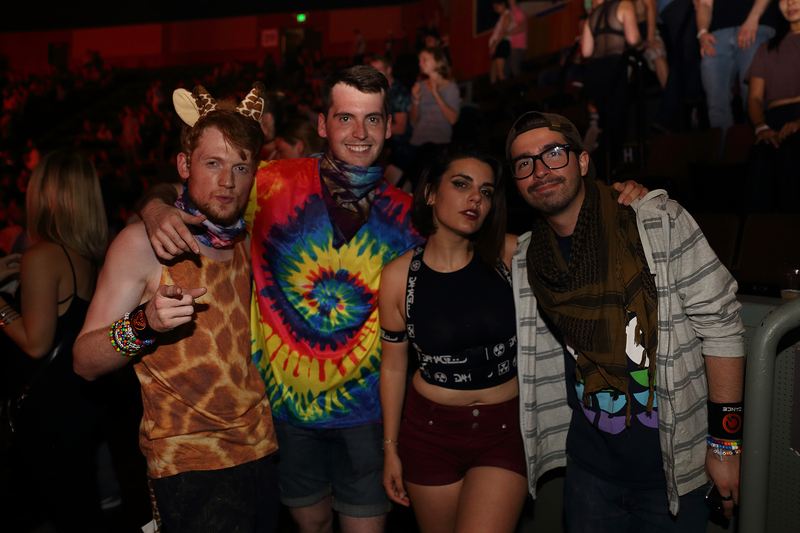 After 90 minutes of booming beats as well as dancing, this track was the perfect cooldown for what was an incredible show. 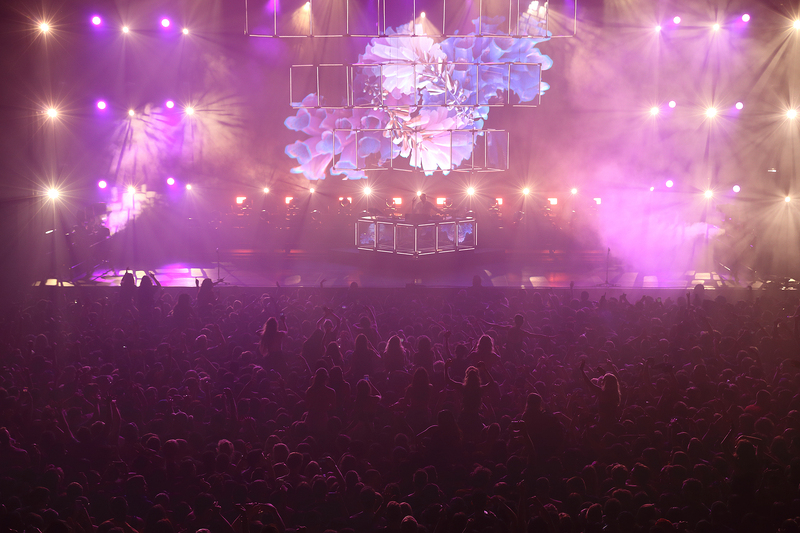 Flume knows that you don’t need to be standing on top of a giant-sized Macintosh to put on an impressive show. 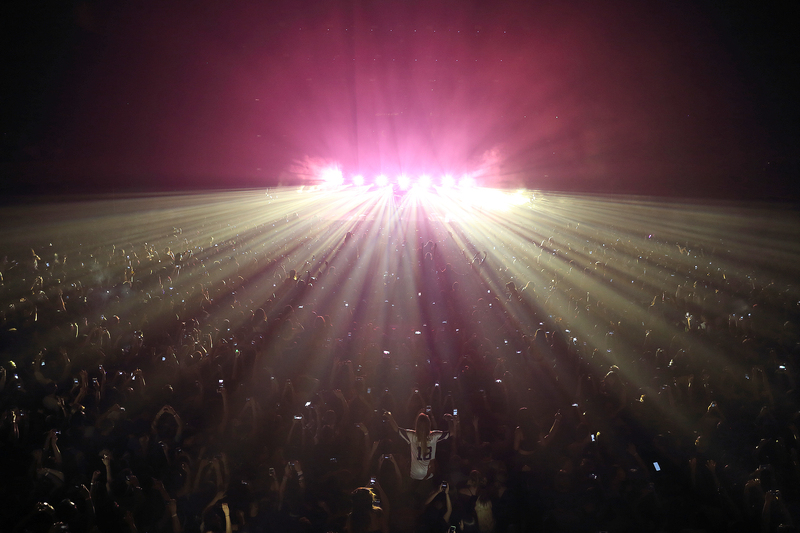 His art direction, live production and setlist tie together the appeal of his music with enough lights and colors to serve as an accoutrement rather than a centerpiece. 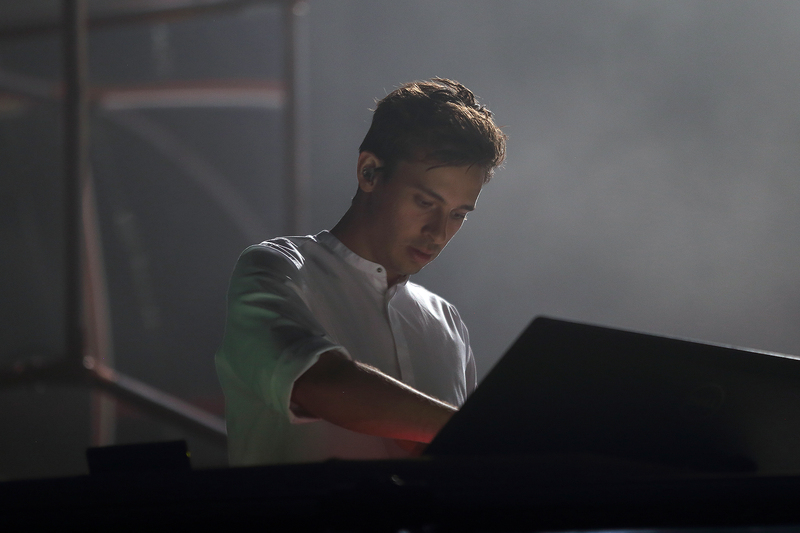 In the increasingly unimaginative world of live mainstream electronic music, artists like Flume are the beacon.